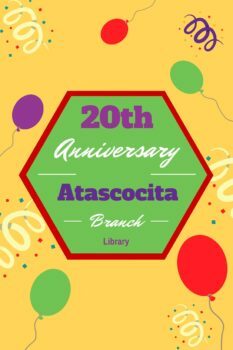 You are invited to the Friends of the Atascocita Library Annual Meeting, celebrating the 20th Anniversary of the Atascocita Library, on Tuesday, May 10, at 4:00PM in the children’s area of the Atascocita Library. There will be a very short business meeting to elect officers and present the 2016-2017 budget for next year. The program will celebrate the beginnings of FOAL and the Atascocita Library.